Leigh McCue is an Associate Professor at George Mason University in the Mechanical Engineering Department. From 2015-2018 she was the executive director of the American Society of Naval Engineers. Prior to that, from December of 2004 through May of 2015, she was an Assistant, then Associate Professor in Virginia Tech’s Department of Aerospace and Ocean Engineering. Her research interests are in nonlinear and chaotic vessel dynamics and computational fluid dynamics. This work has been supported by ONR, NSF, NASA, the USCG, CSC, and QinetiQ. Additionally, Dr. McCue twice participated in the ASEE-ONR Summer Faculty Research Program to continue her work in collaboration with researchers at the Carderock Division of the Naval Surface Warfare Center and was on sabbatical for the 2011-2012 academic year with the Combatant Craft Division of the Naval Surface Warfare Center, Carderock. 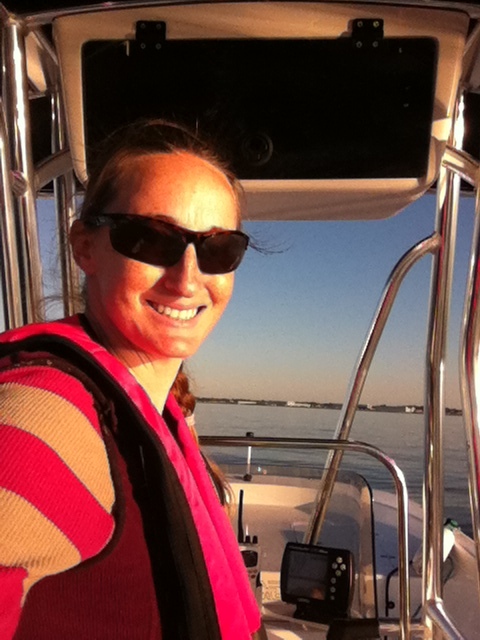 She is also passionate about getting research into the hands of operators as evidenced by her two iOS-based, fishing vessel safety apps SCraMP and FVdrills. Dr. McCue received her BSE degree in Mechanical and Aerospace Engineering in 2000 from Princeton University. She earned her graduate degrees from the University of Michigan in Aerospace Engineering (MSE 2001) and Naval Architecture and Marine Engineering (MSE 2002, PhD 2004). At the 2007 Virginia Tech College of Engineering Dean’s Awards she received an ‘Outstanding New Assistant Professor’ award; at the 2010 Dean’s Awards she was named a ‘Faculty Fellow’. In 2008 Dr. McCue received both an NSF Faculty Early Career Development (CAREER) grant and an ONR Young Investigator Program (YIP) grant. McCue is the recipient of a Presidential Early Career Award for Scientists and Engineers (PECASE).